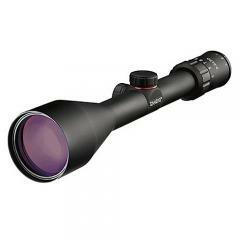 The Simmons 8-Point Matte Truplex Riflescope delivers premium quality at an entry-level price point, perfect for new shooters or those on a budget. Its precision-engineered optics are fully-coated to deliver bright, sharp images while the HydroShield® finish keeps them clear and fog-free in any weather condition. The scope comes with Simmons' signature QTA® (Quick Target Acquisition) eyepiece, which offers a long eye relief throughout the entire range of magnification. This enables a wide variety of shooting positions and makes it safe to use with high-recoil weapons. The TrueZero® adjustment system provides audible click windage and elevation settings and includes SureGrip® rubber surfaces for easy adjustments to your aim, even with gloved or wet hands.